The idea of investing in rental real estate is drawing more interest than ever. A successful rental home investor might have dozens of homes in her portfolio. These are sharp investors or they wouldn't be raking in cash flow from that many homes. Various factors lead to financial success and it's necessary to consider all of them. Buying right can result in double-digit returns and a solid flow of cash for years. Any investment analysis begins with understanding net operating income (NOI). This is the total income your property generates less expenses—what it costs you to maintain the property. Simply subtract total expenses from total income to arrive at your NOI, but there's one catch: Your total expenses do not include loan costs. Determine your monthly NOI by dividing the resulting number by 12. Your cash flow is what's left when you make an additional adjustment for those loan costs, typically your mortgage. You're left with your cash flow when you subtract debt service from your NOI. This is your profit. The more you borrow, the less your cash flow will be. Your NOI will equal your cash flow if you pay cash for the property. Cash flow is admittedly a function of a great many inputs, and any of them can change and damage or improve a situation. Some are influenced by market and the economy. 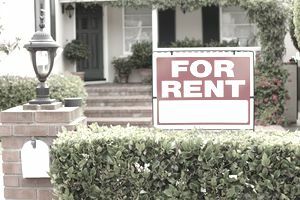 The demand for rental property can plummet overnight when a major local employer closes or moves. You can't control things like this, but you can hopefully avoid these situations by doing your due diligence about the health and plans of local employers. You're probably in good shape if they're profitable with a long lease recently renewed. Of course, the Internal Revenue Service is going to want a percentage of all this rental income, but investing in real estate offers quite a few tax breaks. The depreciation deduction is a valuable component in property analysis. It can even reduce taxable profits from other investments for those in high tax brackets. You can often use your leftover losses against other investment income when the costs of maintaining and renting a property plus depreciation total more than your taxable profit. It's not actually a cash loss because depreciation isn't coming out of your pocket. It's a calculated number treated as an expense for tax purposes. You can still have positive monthly cash flow while showing an operational loss for tax purposes. You must pay property taxes if your business owns property, but you can deduct these taxes for income tax purposes. Businesses pay property tax on the assessed value of their real estate in the same way that individuals pay property tax on the assessed value of their homes. The tax for the year is distributed between the previous and new owners when real estate is sold, based on how much of the year they owned the property. Property of "like kind" means other real estate. It does not necessarily require a land-for-land or office-for-office exchange. Few investment asset classes and strategies can compare with rental real estate. People need a place to live, and owning a home is not possible for or desired by everyone. What Is Return on Equity in Real Estate? Should You be a Real Estate Consultant? So What is Gross Operating Income in Real Estate?